Thanks again to everyone who joined us on the Hop and left all the sweet comments and feedback! 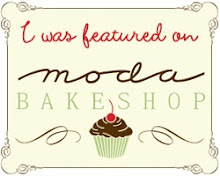 I've had a blast meeting so many new bloggy friends (and I'm still visiting new-to-me blogs!! 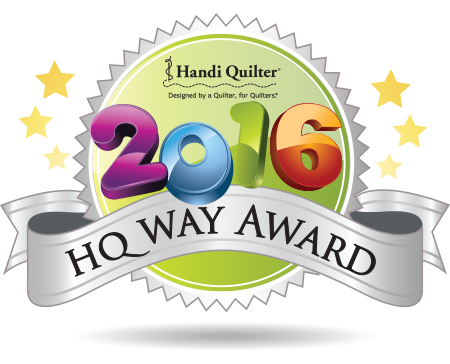 ), and I had such a great time each day seeing what the participants came up with, so many creative ideas :) Thanks also to Pat Sloan for her cute designs and for pulling this all together, and to Bigfork Bay Cotton Company & The Fat Quarter Shop for their generous prizes! Well I thought it'd make a great background for a Cardinal pillow using wool applique. I used the Ava's Winter Flurries pattern and just chose some elements from it. I laughed outloud when I saw that yesterday Heather of Olive and Ollie made a pillow with the same cardinals! But hers is done in modern fabrics and I think just proves the point that these patterns play well with all fabrics! I did fusible applique, and a machine blanket stitch with the wool, I think that works well to keep everything stable and it's quick. One little tip that I'd like to share... when doing the machine blanket stitch around multiple elements like the parts of this snowflake, sometimes it's easier to stitch around them all in one pass instead of a lot of starting and stopping (see how I just crossed over in the center). And then fuse the center of the snowflake on and blanket stitch around that. Btw, I used an old scrap of batting for the snowflake instead of wool because I don't anticipate washing my pillow (and I was out of white wool). The pattern directions are very clear and they all come with a full size lay out sheet with the pieces numbered, so it went together in a snap. I finished the blanket stitching, but I didn't get to quilt this one this week, but it'll be finished and hanging up in time to welcome Spring! Then last but not least, I wanted to work with some of my more modern fabrics, so yesterday I hand appliqued this purple coneflower from the Chelsea's Summer Garden pattern and I decided that I needed to dress up my garden notebook. · If you were a salad, what kind of dressing would you want poured all over you? Yes I DID ask this one... and I do believe I'd have to go with Blue Cheese as it is decedent, creamy, and one I shouldn't have as often as I do! · Who would play YOU in the movie version of your life. 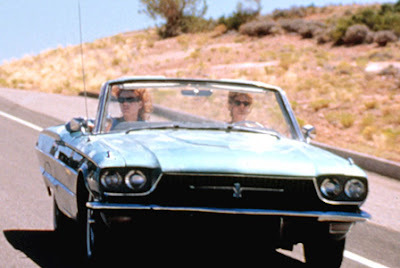 or If I'm in Thelma and Louise.. who am I and who is my sidekick? I'm going to pick the movie as I LOVE this Chick Flick.. I'd have to be "Lousie" played by Susan Sarandon as I just ADORE her and she looks super in those sunglasses! My BBF Brenda B. would be Thelma. Although Brenda does not have Thelma's personality , she is the one I want with me as Brenda can get us INTO and OUT OF any situation and to anyplace we might need.. ummmm... want to go! · If you were a car, what kind would you be? I switched the 2 questions because you will see WHY I asked about Thelma and Louise... Vintage car ALL THE WAY and a powder blue 1966 Thunderbird Convertible is my ride of choice.. anyone have a spare to give me? Now the truly fun part for you! The folks at Bigfork Bay Cotton Company are giving away one pattern of your choice to one lucky reader of mine! To enter, please leave a comment at the end of this post. I'll use the random number generator to choose the winner, and the giveaway will close at midnight EST on Sunday, February 26, 2012. 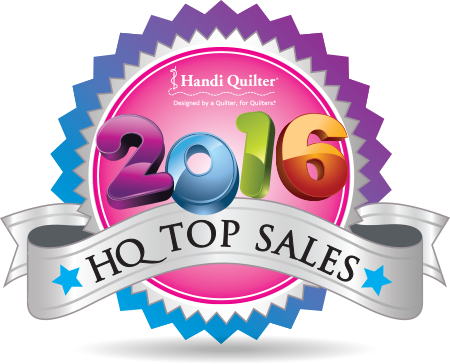 The Fat Quarter Shop is also giving away five full sets of Pat’s patterns. 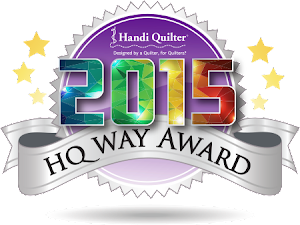 Visit their Jolly Jabber blog to enter. 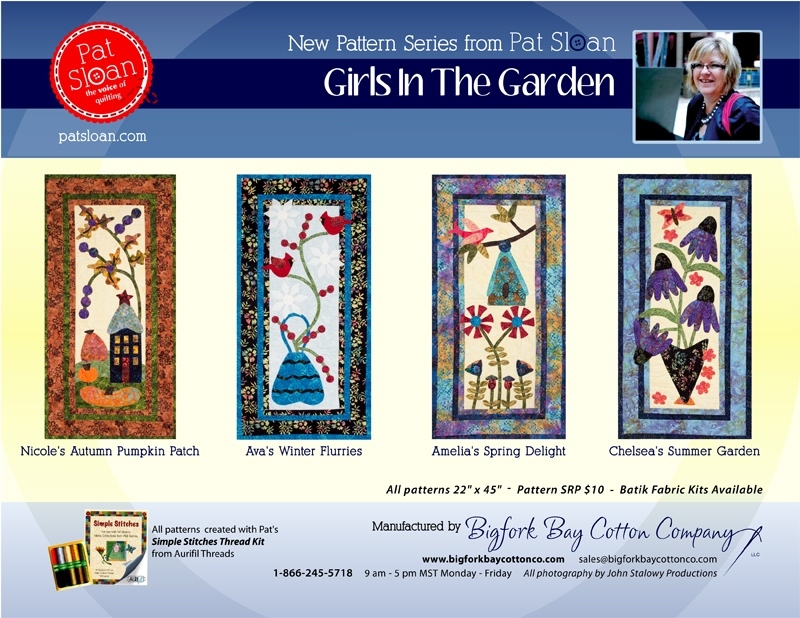 Finally, visit Pat Sloan each day too as she shares her inspirations on designing “Girls in the Garden” and she’s giving away another full set of the patterns! The other day I took the time and went on one of my Creative Excursions ~ aka Thrifting :) I always find some kind of treasure, and I take pictures that have been known to inspire a new project some time in the future. Right now I'm loving the colors in this little dish, and feel a quilt coming on for my soon-to-be spare bedroom! These are the treasures that came home with me from my latest outing (including the vintage sheet they're sitting on). I only spent about $10 ...and that includes the Mocha Frappe that I picked up to sustain me on my Excursion :) That's a quite a bargain for that amount of soul feeding inspiration! Today I'm home, curled up in my recliner after having oral surgery this morning, so my inspiration is coming from the internet. If you want to be inspired by what five different designers come up with using the same patterns, check out Pat Sloan's new Girls in the Garden series Blog Hop! 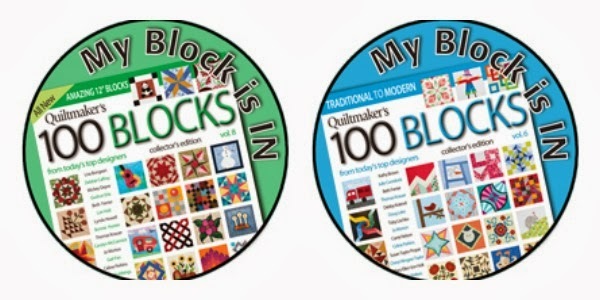 Today visit Michelle from Quilting Gallery, gleen some inspiration and make sure you leave a comment for her give away! 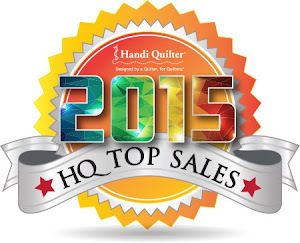 A Little Inspiration and a Blog Hop! So this weekend I've been enjoying my new book, Baltimore Garden Quilt, reading it from cover to cover! 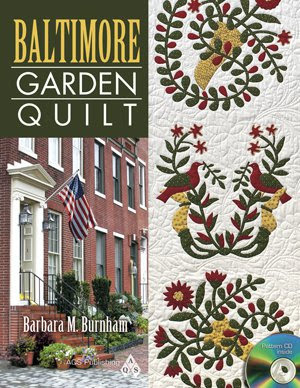 It's written by my Baltimore Applique Society friend, Barbara Burnham, and has full color pictures of her beautiful reproduction Baltimore Garden quilt, and the antique quilt from 1848 that inspired it. 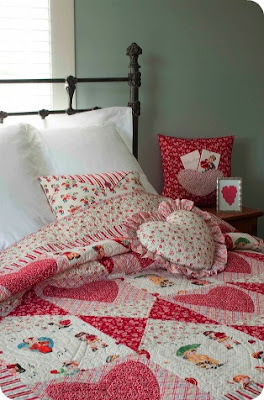 I love that she includes full color tutorial pictures of many techniques she used in making the quilt! It'll be part of my blog post for the Girls in the Garden Blog Hop that I'm doing with Pat Sloan and some other blog friends! 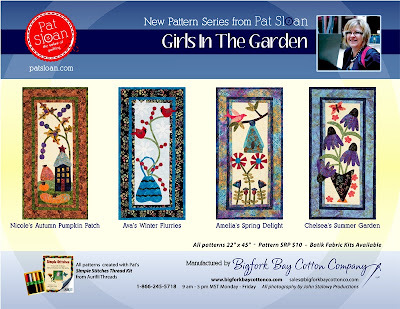 Each designer will be using some of Pat's new patterns from her Girls in the Garden series and making it their own. I can't wait to see what everyone comes up with from the same patterns! ...And now it's finally available as a pattern Here on my website!